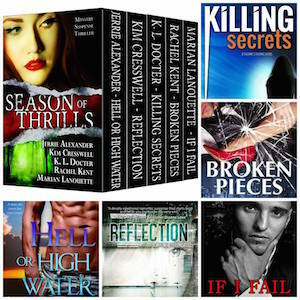 ← Karen’s Killer Book Bench Blog Subscriber DECEMBER Winners!! Karen’s Killer Book Bench Blog: Week 11-30-15 Giveaways & SPECIALS Still Available!! 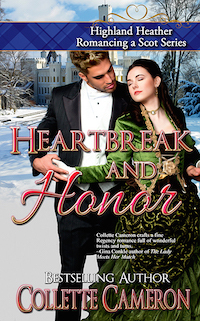 TWO DAYS LEFT to enter Collette Cameron’s #giveaway for Two $25.00 gift cards, a print copy of Triumph and Treasure (Highland Heather Romancing a Scot Series, Book 1), Five eBooks of Virtue and Valor (Highland Heather Romancing a Scot Series, Book 2), and a Christmas package! We’ve extended our SALE so don’t miss the SEASON OF THRILLS BOX SET for only $.99!! 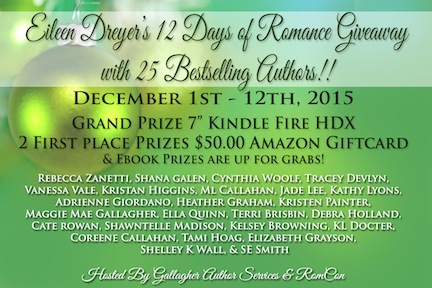 It’s not too late to #WIN a 7″ Kindle Fire HDX, $50 Amazon Giftcard, or one of the Ebook Prizes in Eileen Dreyer’s 12 Days of Romance Giveaway!! 2 Responses to Karen’s Killer Book Bench Blog: Week 11-30-15 Giveaways & SPECIALS Still Available!! Be sure to enter all of the giveaways that are still open. Although I love your comment, it doesn’t enter your name into the individual giveaways.